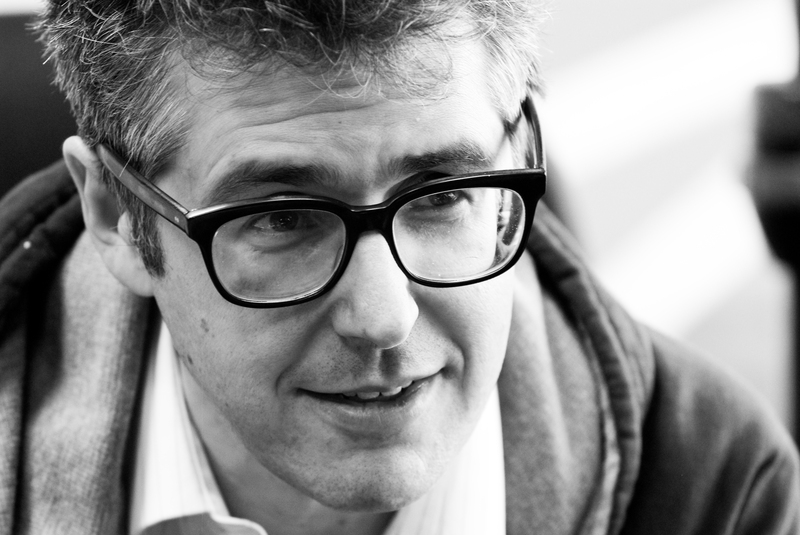 Ira Glass was back in the Prairie State last week to perform his "Reinventing Radio" show for the good folks of St. Charles, Ill. I spoke to him for Weekender to find out more about how he prepares to perform onstage in front of a live audience. I also asked him about an ideal weekend in Chicago. I don’t know about you, but I was struck by how melancholy he sounds here as he talks about going for a walk by the water, which he doesn’t “do at all in [his] life now,” and about the nature of a “happy weekend like they used to be when I lived in Chicago.” This isn’t a revelation or anything - Glass has been candid before about his status as a “reluctant New Yorker” and how he’d return here if it wasn’t for the roots his producers have established in New York City. But it does seem to be a situation that weighs on him a bit. But the big topic on my mind was the “Retraction” episode of This American Life, which aired this past March 16. Daisey and Glass worked together closely to turn Daisey’s one-man show about conditions at the Foxconn plant in China into the radio episode “Mr. Daisey and the Apple Factory,” which first aired on Jan. 6, 2012. As most people now know, Daisey fabricated many details in his story and misrepresented his experiences to This American Life and other media outlets. Like many I was riveted to my radio for the entire hour of “Retraction.” I thought it was an incredible conversation, and I was struck by how much effort TAL put into setting the record straight. I found it painful listening. Glass hasn’t really spoken about this with the media, so I took this opportunity to ask what, close to a month later, he thought about the interview and whether he’d spoken with Mike Daisey. I also wanted to know whether he felt he’d gone too far in his confrontation with Daisey. By that I don’t mean he’d lost his temper or been rude. But there were moments when I felt like Daisey, however untruthful he’d been in his dealings with the show, was being subjected to a kind of stern judgment that made me feel uncomfortable. He had a different take – here’s our conversation. Glass ended by talking about one of the more "odd" elements of the interview - those incredibly long pauses between him and Daisey. So - did you go see Glass in St. Charles? What did you think about what he said about Daisey? I&apos;m also curious to hear you thoughts about the "Retraction" episode, now that some time has passed (or if you&apos;re experiencing it for the first time). Share your thoughts below!